Finally the Weekend! Do you really want to do yard work? If only you had called Mattinson’s. The lawn would be lush and green and most importantly…. MOWED! Wouldn’t it be nice to enjoy your time off, truly having the time off? You need to enjoy your time doing the things you love while we take care of the stuff that you don’t.Let Mattinson Lawn Care make your yard something to be proud of! 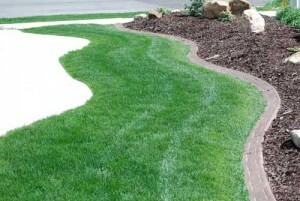 Mattinson Lawn Care guarantees your satisfaction and our pricing is competitive. You can’t go wrong. It’s time to grab the lawn chair, fishing pole and kick up your heels… everything’s done! 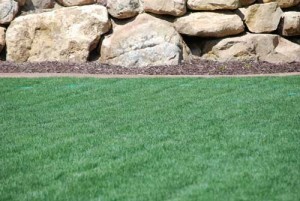 Your lawn will be maintained by professional operators trained by our experienced staff. You will have nothing to do after we mow the lawn and trim all obstacles. In addition, we also clean up all debris from your driveway, sidewalks and curb. Our crews take pride in leaving your property looking its best. Our staff can weed the beds, prune the bushes and even apply mulch. In addition, a certified technician can apply a special blend of fertilizer or treat for any insect or disease problems. What impression do consumers get from your facility? Are the shrub beds weedy & overgrown? Is the lawn healthy and green? If your property needs some TLC, you need Mattinson Lawn Care. Our experienced staff will have your property looking its best in no time. We are your local full service low cost provider for all your landscape maintenance and pest control needs. We look forward to making your property one that is inviting and welcomes your customers to your establishment. Our specialty is to provide you with exceptional service and value. Mattinson Lawn Care prides itself on providing its customers outstanding value. When you entrust Mattinson Lawn Care with the care of your facility, you can rest assured that all of your landscape maintenance and commercial pest control needs will be handled. We only send out trained certified professionals to service your property. We pledge to you, that you will receive only the highest quality work and materials on your site.